Provide comfort for the family of Alan Koepke with a meaningful gesture of sympathy. Alan J. Koepke, 75, of Coventry, beloved spouse of Barbara, passed away on Saturday, April 13 in Manchester after a lengthy battle against chronic illness. He was born in Willimantic on July 13, 1943, to the late Richard and Mary Rose Koepke. He is a 1961 graduate of Windham High School who became a successful private business owner serving the emergency services community throughout eastern Connecticut for more than 50 years. From a young age, he was keenly interested in radio, a pursuit that shaped his life. A former volunteer with the Chaplin Fire Department and an avid amateur radio operator, “K1JCL” was an active, lifelong member of the American Radio Relay League and known for his passion for building and operating vintage AM radio equipment. Through his work, he was responsible for modernizing radio communications for fire, police, and ambulance services. He had a hand in the birth of regional 911 communications centers in most of Eastern CT, including Tolland County; Willimantic Switchboard; Quinebaug Valley; Colchester, and Groton. Alan was a connoisseur of lobster, vanilla milkshakes, and baked goods--most notably, apple pie. He enjoyed visits to Maine and, as a young man, became quite an accomplished water-skier, a talent he demonstrated each summer on the waters of Lake Messalonskee. Family and his faith were deeply important to him and his sense of humor was his trademark. He was a devoted parishioner of St. Mary’s Church in Coventry. In addition to his wife of 50 years, he is survived by his brother, Thomas Koepke of Westerly, RI; his daughter, Tracey, of Durham, NC; his son, Edward, of Coventry; a large extended family, and many, many friends. Relatives and friends may join the family on Wednesday, April 17, from 4-8 p.m. at Tolland Memorial Funeral Home. A Mass of Christian Burial will take place at 10:00 a.m. on Thursday, April 18 at St. Mary’s Church in Coventry (please meet at the church). Burial will take place at Storrs Cemetery on the campus of the University of Connecticut. Donations in his name can be made to St. Mary’s Church or to the Town of Coventry Fire & EMS Department. 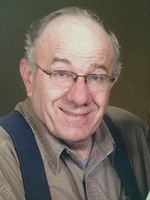 For online condolences, please visit www.pietrasfuneralhome.com. To send flowers in memory of Alan John Koepke, please visit our Heartfelt Sympathies Store. Joe McQuain, Sue and Hunter, and others have sent flowers to the family of Alan John Koepke. Deepest condolences, thoughts and prayers our with your family.